← Friends of the Library Christmas Toy Box Raffle! 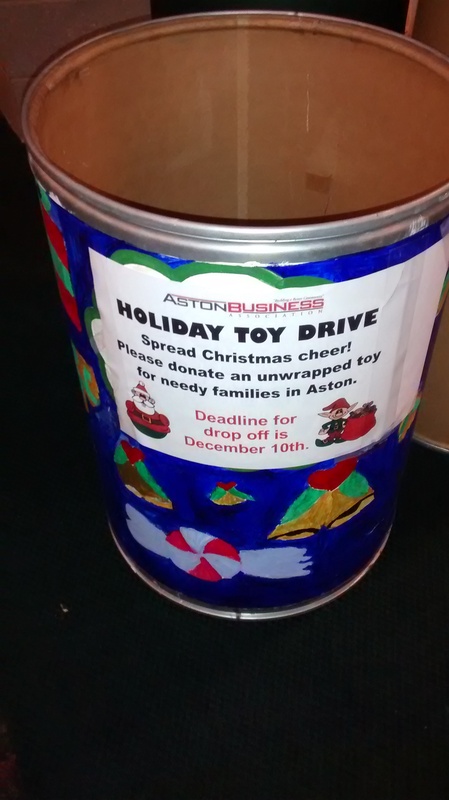 Aston Business Association Toy Donation Program! Drop off an unwrapped toy or Wal-Mart, Target or Giant Food Store gift card in the bin in our entryway and it will be distributed to a needy family in Aston! Please drop off your gift by December 10th.